Video Transcript: Have You Heard About the Nocebo Effect? Charlene Bollinger: Throughout our research for our docu-series, The Truth About Cancer: A Global Quest, we’ve heard the importance of hope and a positive frame a mind. That’s why our mission is to provide hope for patients, and to let them know that cancer is not a death sentence. Ty Bollinger: Our friend Sayer Ji who’s featured in the docu-series, talks about this negative state of mind known as the nocebo effect. Just like the placebo effect, which causes positive results in people who think that they’re taking medicine, the nocebo effect occurs when patients who are told they are going to die, actually do. Charlene Bollinger: That’s right. Many people when told they have 6, 9, or 12 months left to live, believe it. Those negative emotions and lack of hope may cause patients to die even though autopsies show that the cancer was not the cause. Ty Bollinger: Talk about that belief and emotions and cancer—and after that, you mentioned Dr. Gonzales and enzymes. I want you to go into that but let’s talk about belief and emotions first. Sayer Ji: Absolutely. This is one of the most powerful studies of our time published in The New England Journal of Medicine just three years ago which showed based on a huge group of Swedes—we’re talking about 500,000 in these in the study. When they were given the results for their cancer test—we’re looking at different types of cancers. And if they were told positive, what happens is that within one week of that diagnosis, they had up to 26.9 fold increase risk of death from heart related events. Ty Bollinger: Just from the diagnosis. Just from the emotional and mental effect. That person is so convinced that that authority is so valid that they go walk off into the woods and the next day, they die. Exactly proven by this new study. The power of belief and what they call the nocebo effect, which is if your physician whom you trust more than your own self healing ability, comes in and says, “You’re going to die. Look at these results-you have six months.” Guess what? You’re probably end up dying. What this study showed was that the belief is so powerful, your heart fails on you within one week. It just crashes. You die because of your belief. It is not based on evidence. It is based on the belief that someone else knows your fate better than yourself. And that is why we have to be extremely careful about conventional medicine in this type of diagnosis. Ty Bollinger: You mentioned nocebo effect. What is nocebo effect? Ty Bollinger: With her sugar pill. Sayer Ji: Exactly. The thing is true is that if you believe, or your doctor comes to you and you feel negative vibe or you think they don’t like you and they think you are going to die, it means “I will harm” and it means you believe that and you incorporate it in your life, in your belief system, it feeds into your physiology and then you end up having an adverse effect or dying. Ty Bollinger: So the nocebo effect. So it’s like the flip side of that coin. Sayer Ji: It’s the exact opposite. Ty Bollinger: Placebo is positive, nocebo is negative. Sayer Ji: It’s true and it also tells us that physicians have an ethical and medical responsibility to be aware of their effect, to be aware of their belief system, and realize if they are quoting from some statistical data set of pour outcomes based on really outdated cancer therapies, let’s say it’s radiation and chemo, which is just absurd ultimately, it’s on them. They have to educate themselves and they should be inculcating into the patient a belief in the healing power that they have. If they don’t know, I understand, they weren’t trained on this, but they should probably be doing something else than treating people with cancer if they don’t know that. Ty Bollinger: Right. I agree. I mean, to me that’s almost the equivalent to a crime to have a cancer patient be diagnosed and tell them that they are going to die because you just sentenced them to death. Sayer Ji: Exactly. And it’s no longer just a bunch of people on the periphery like us saying, “You know, you’ve got to do better.” It’s in The New England Journal of Medicine, one of the highest impact journals, stating this is a lethal force. Nocebo effect is as real as the placebo. They are responsible for what they say, what they know. They should never pronounce someone dead based on statistics of an outdated way of treating people with cancer. Ty Bollinger: Our emotions have a huge impact on cancer diagnosis and treatment, don’t they? Sayer Ji: And belief. 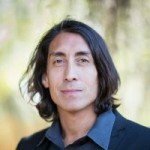 Because ultimately when we liberate ourselves believing in the priest of the body, and realized the placebo effect is the basis of evidence-based on medicine, they have to control for it to even have a sort of hierarchy of power structure saying that they have the evidence and the truth, right? Double-blind randomized placebo controlled trials. That’s the absolute truth in their model. And why are they controlling for the placebo? It’s so powerful. It’s even more powerful than most of the medications they’re using. And so what the placebo is is basically the self-healing ability that I’ve now outsourced to you because you’re the doctor and I believe in you. When you tell someone that their body is constantly self-healing and they can overcome cancer in the same way that they have a scratch on their knee and they can watch it heal and they believe that – and they do the right things – then they will heal cancer and that is really the power that we have that the medical profession really doesn’t either. They don’t either know it, or they don’t want you to know about it. Ty Bollinger: We hope you enjoyed this video from Sayer. 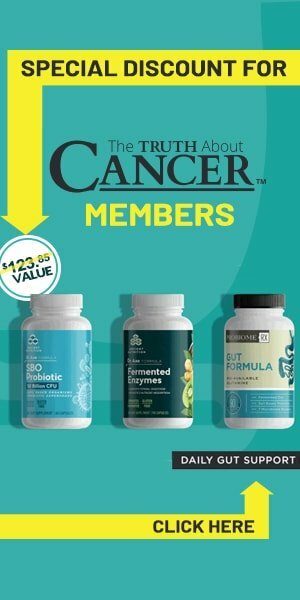 The Truth About Cancer: A Global Quest is a powerful 9-part docu-series that shows you the best ways to prevent and even beat cancer and we invite you to watch it absolutely free. Go here to learn more. This subject about believe and “cancer” survival is the smoking gun to medical corruption. In 1993 I read the book “Head First” by Norman Cousins. 10 year study about the mind over matter effect on cancer diagnosis and the patient believe system and how that effects the outcome. As I was diagnosed in 86, given 6 months to live, I said well maybe I will came back in a few months. I researched and fixed what I thought was wrong. Needless to say I took the book very personally. This book needs to be reexplored, it proves that these doctors know the effect and how they influence the outcome. What tears my heart out is when they use the technique on parents of very young children. Then use those families to fund raise. So wrong. Please view the talk on you tube by Jaggi Vasudev alias Sadhguru who has spoken about the same thing. He said that to kill a man you need not poison him or anything just keep feeding him negative thoughts and he will succumb. He said that there is a tribe which practices this method . To kill a tree the tribe sits around the tree and keep talk negatively and over a period it dies naturally.